With Greece having from 1,200 to 6,000 islands, around 200 of them being inhabited, it comes as no surprise that the country is a popular destination for cruises around the Mediterranean. Some of the most beautiful ports that are included in such cruises are Corfu, Santorini, Mykonos, Rhodes, Crete, Olympia and more. Your holiday experience will be unforgettable as you visit places with white – washed houses and blue – domed churches, antiquity sites and ruins of the past. Moreover, the cheap prices on the Greek islands will attract all tourists who love to shop. Sometimes, cruises that include Greek islands may also combine ports in the west coast of Turkey, like Izmir, Ephesus and Marmaris, and may even visit Istanbul. You should keep in mind that the prime season for a cruise around the Greek islands lasts from May to November, and cruises may range from 7 to 21 nights. You are also advised to arrive at the departure port at least one or two days before departure, so you may have enough time to rest and get oriented. 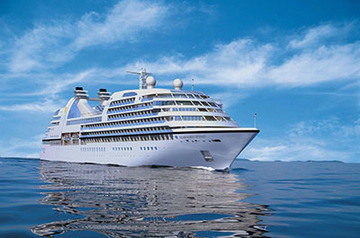 Finally, most cruise deals also include hotel costs at the ports where you will stay overnight.